Silly me. I started & finished a KAL project a day too early. Duh!!!! The KAL started January 15th and will run until July. I knitted a hat on the 14th. I’ll consider it practice. And it will still go to charity. What I did right. I did try to finished as many old projects as possible. Otherwise, they won’t be touched until after July. I didn’t finish any handspun. No regrets. I just wasn’t ready. Deadlines, even arbitrary ones, are enough to push a decision. It’s only January but I already feel a bit too rushed and already behind. Time for some strategy and deep breathing. Silly. It’s all self imposed pressure. Not a lot at stake, except missed opportunities for door prizes. Even so, it’s great motivation to use up stash. ✔✔ Done. 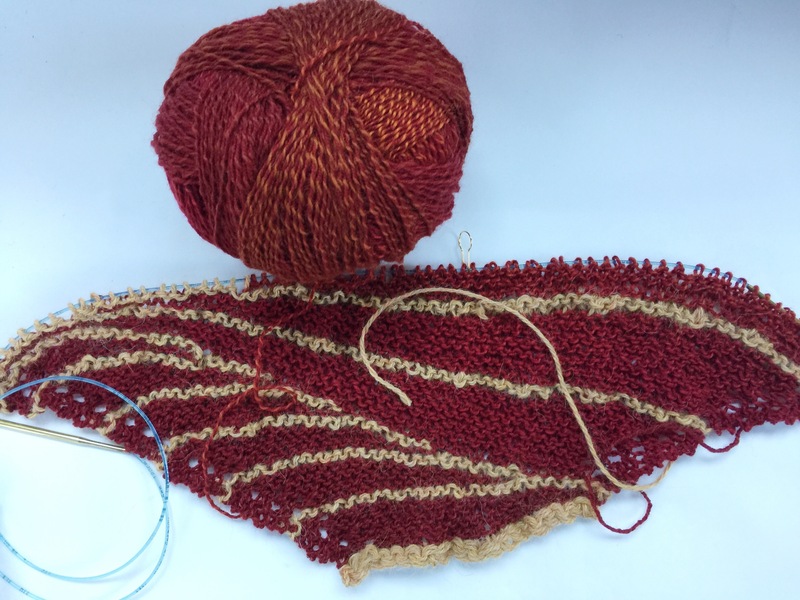 Red DK weight 750 yards for Robin shawl by Leethal Knits. Already on the second swish. ❌2 Guys BFL in Royal (spinning now) fingers cross it will be 350-400 yards. ❌Gale’s Arts BFL in Iris (spinning soon) Still in a quandary about how to spin this one. 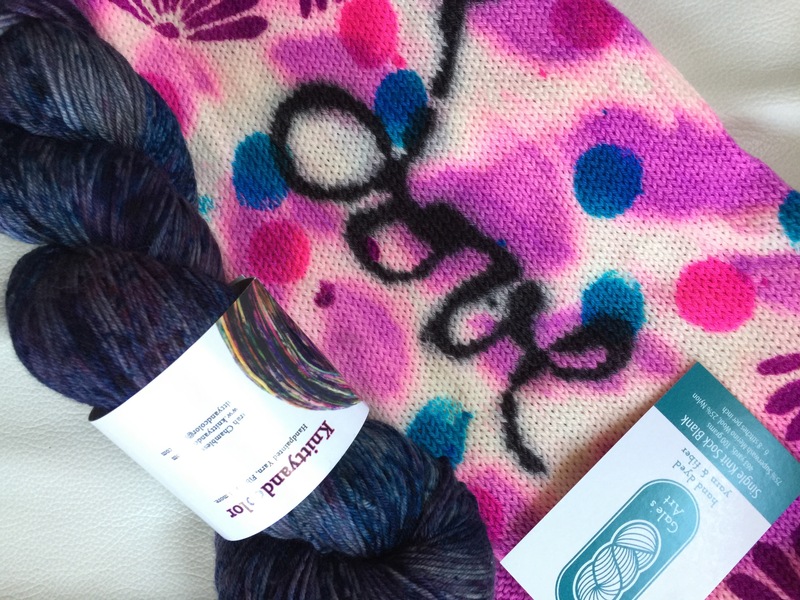 ✔Gale’s Arts Extreme sock blank in Crossing Paths by Ann Budd. Yuk. switched to a simple plain pattern. 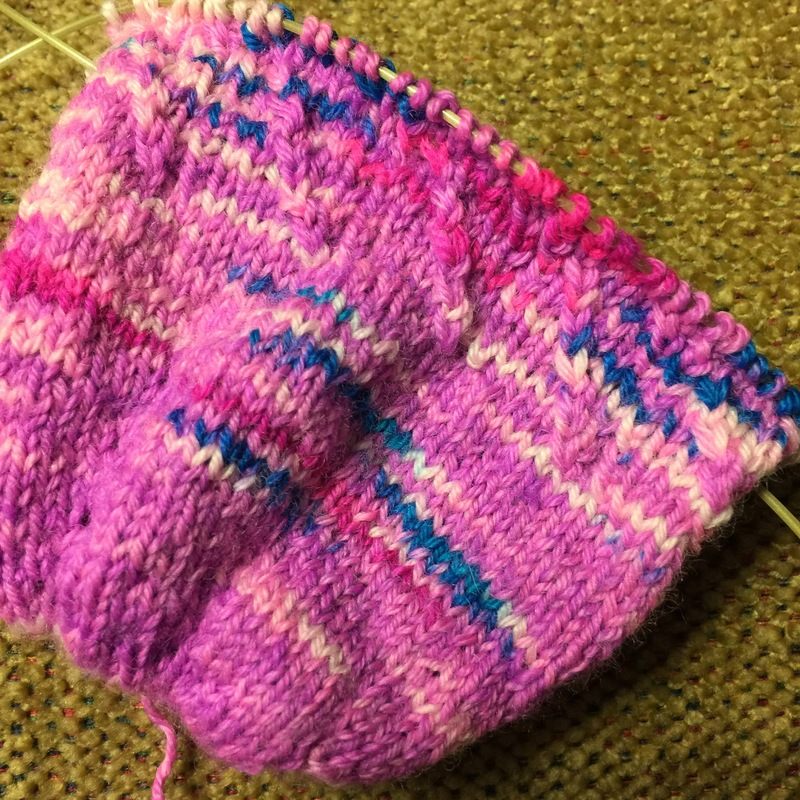 ✔Gale’s Arts sock yarn that I hand dyed in Gale’s workshop, in Crossing Paths by Ann Budd. Yeah! Loving this. 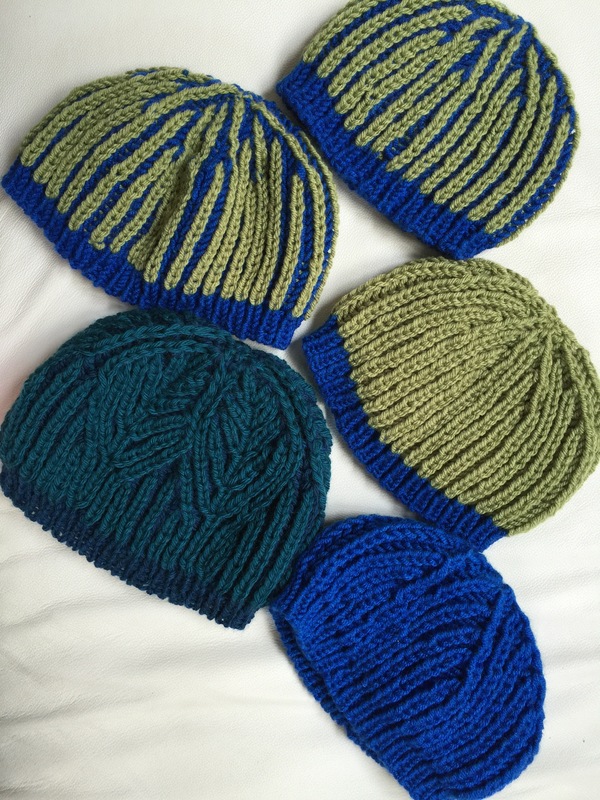 25 weeks until the retreat means I should easily get 25-30 hats finished. 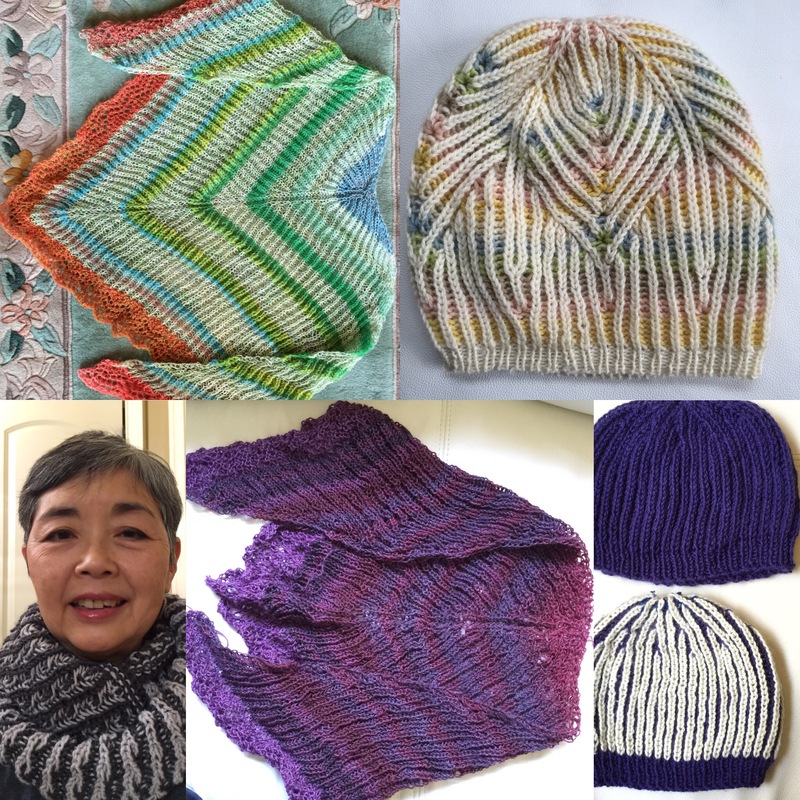 Both Ann Budd and Lee Meredith have lots of hat designs to knit. Boun’s hat by Ann Budd is my current favorite hat. I could easily knit several a week. This could change on a whim. 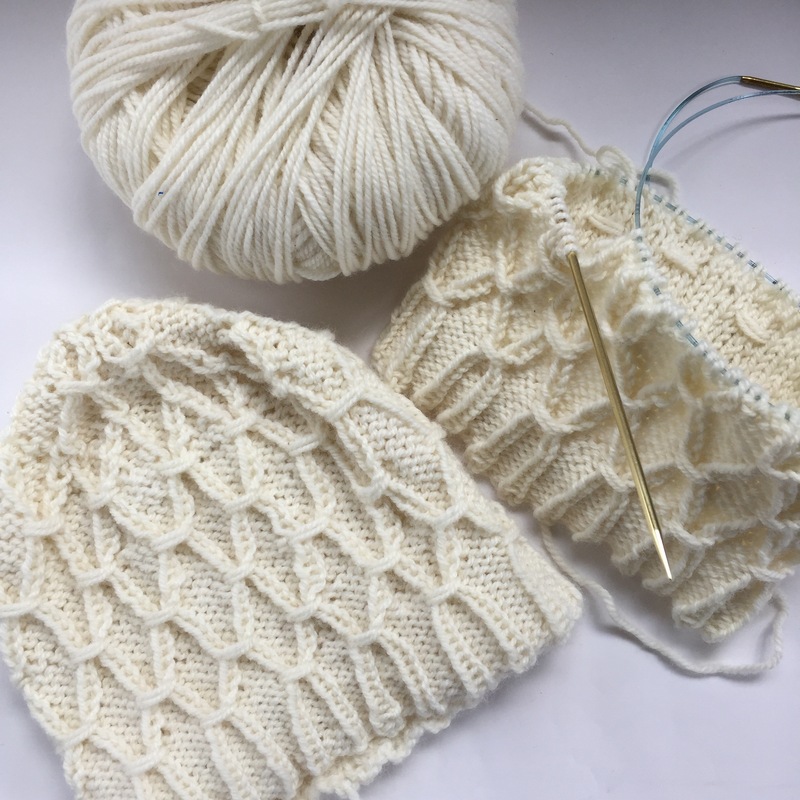 Right now there are lots of hats and socks in my Ravelry Queue from the two designers. 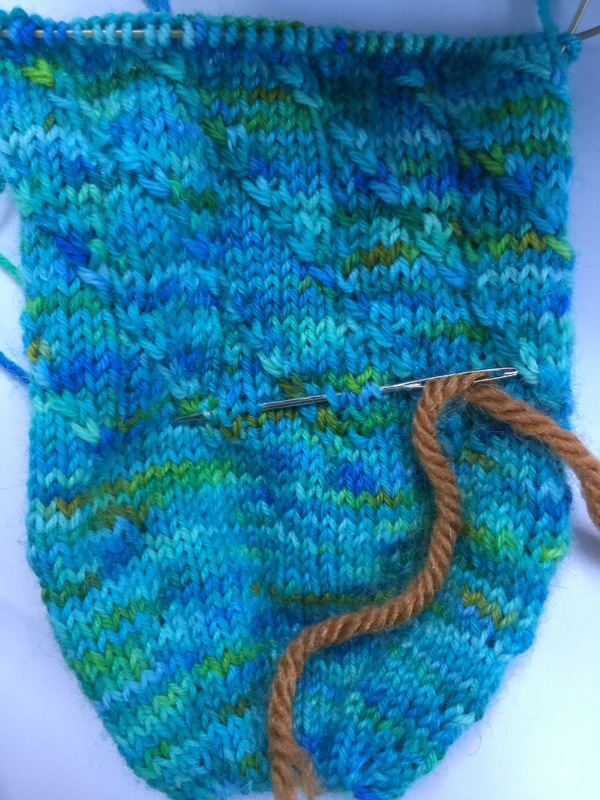 Better get a pair of socks on the needles. 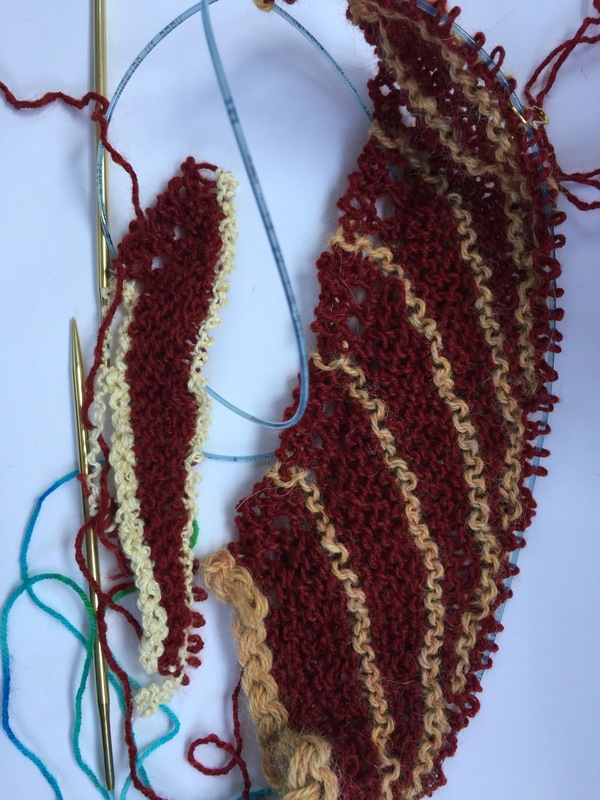 But first up is Robin shawl by Lee Meredith. I’ve wanted to knit this one for several years. I’m taking a chance using my first real handspun, the purple-navy-turquoise with Miss Babs lace in Franklin and the stripes in Huckleberry Yarn lace. And in 24 hours, I’ve already changed my mind. After winding the purple-navy-turquoise into center pull balls, I decided it’s too light, thin and not enough yardage. Instead, Robin will be a longer term project. I’m spinning the 2 Guys BFL in Royal now. That will be the main color. 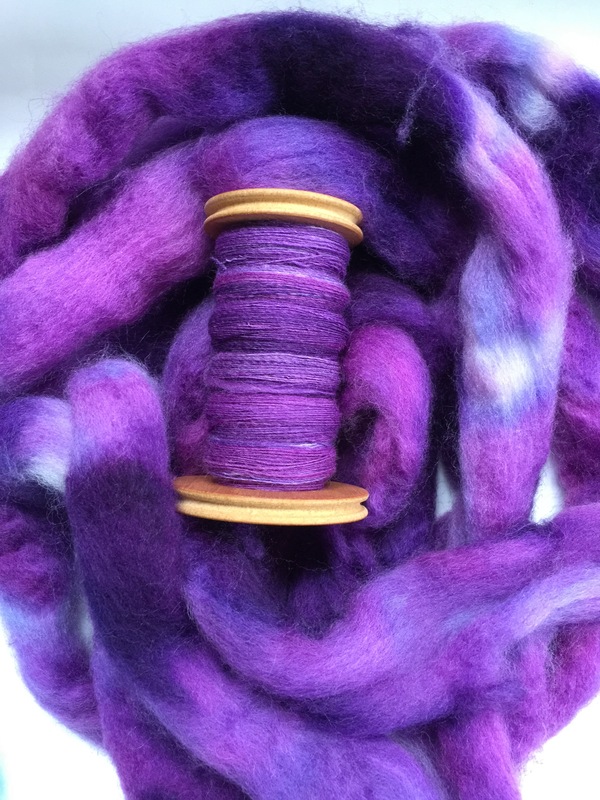 Gale’s Arts BFL in Iris will be the two contrast colors. I’ll comb the green and gray together for the second contrast color. Fingers crossed for enough yardage. Scratched the whole idea. Not enough yardage (264) in the 2 Guys Royal. I might try to find another fiber to handspin for a new main color. Right now, I am too scared to tackle the Gales Arts Iris. Gale’s Arts BFL Iris, separating the green & gray. In the meantime, I am knitting Robin with the red handspun. Contrast color was a challenge. And also decided to modify the pattern. Switching the contrast and main colors in section 2. 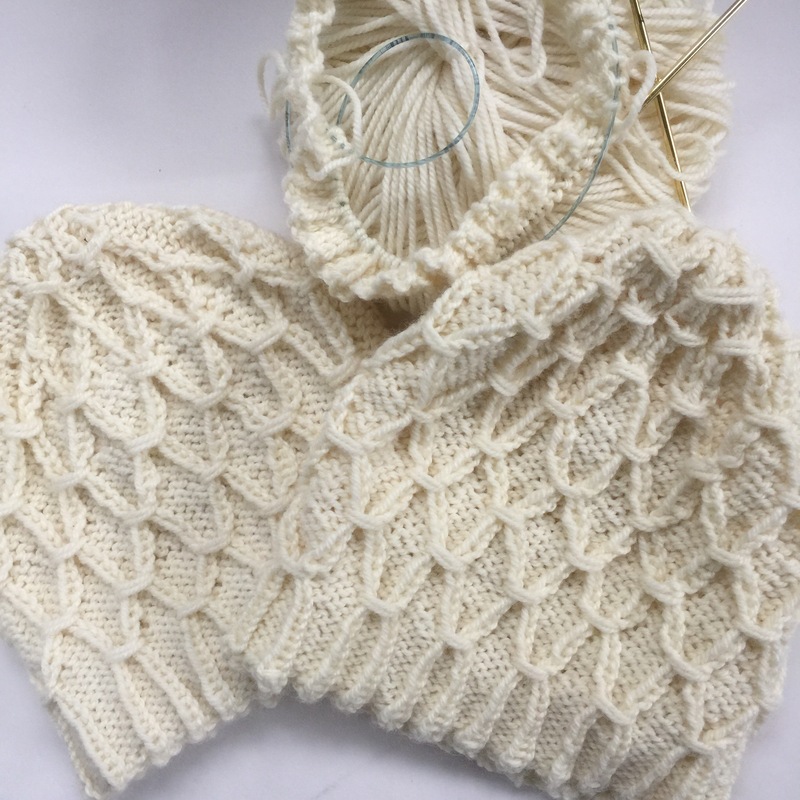 This entry was posted in Knitting, Spinning - No Needles and tagged kal, knitting, Spinning, SSK retreat, SuperSummerKnittogether on January 24, 2017 by slantedstitches. 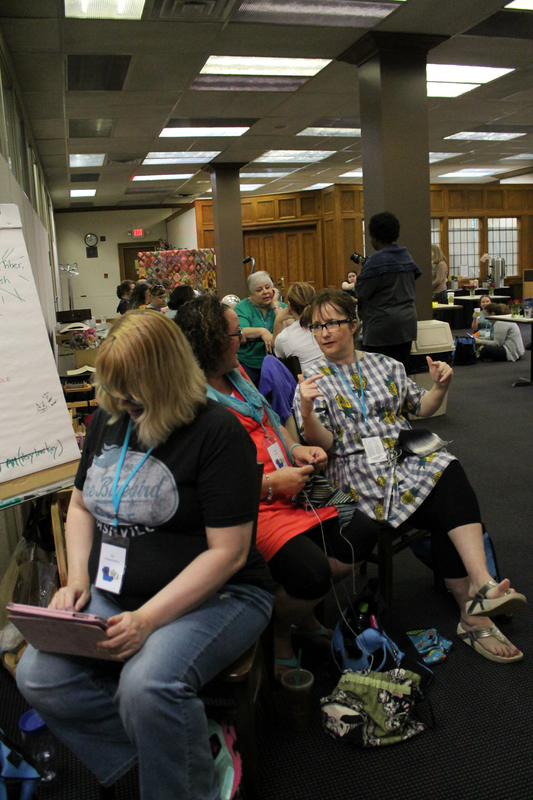 Back and almost rested from the SuperSummerKnittogether (SSK) retreat in Nashville. I didn’t spend any money on yarn. NONE OF THE ABOVE IS TRUE. NONE! ALL OF THE BELOW ARE TRUE!!!! I did pace myself and planned rest times. I did walk almost 10k and yoga everyday. I stayed well within my ketogenic diet. The chef was wonderful accommodating it. I met SO MANY wonderful & interesting people. I played with every spinning wheel and spindle possible. I tried on lots and lots of handknit garments. 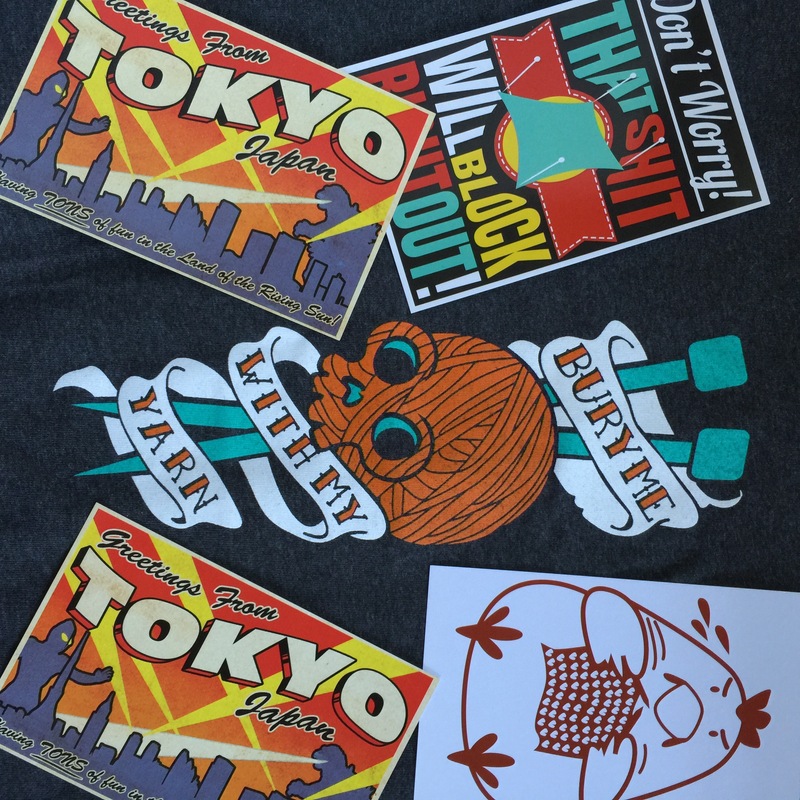 I bought almost everything on my fiber wish list. I learned great tips from wonderful instructors, Thea Coleman and Romi Hill. Being ketogenic outside my house is not easy but doable. (People think it’s high protein and can’t understand the high fat part.) The quickest way is carrying a small bottle of MCT oil. I used it with apple cider vinegar for salad dressing. And drizzled over other veggies & protein. I didn’t take ketostix to check. When I got home I did a test. Still in the highest range. I’ve sort of settled on the spinning thing. Will post more about this soon. Here’s the stuff I bought. I showed you this last week. Leading Men Fiber Midnight Rendezvous in Soliliquy base gradient kit. I didn’t have a plan until midway through the retreat. It will be a Steven West’s Dotted Rays shawl. The garter sections with be light to dark. The eyelet section will be dark to light. Amy Florence of Stranded Dyeworks posted this speckled beauty in Instagram. I had to have one plus she was also going to be at SSK as an attendee. It was the only thing I knitted during the retreat. 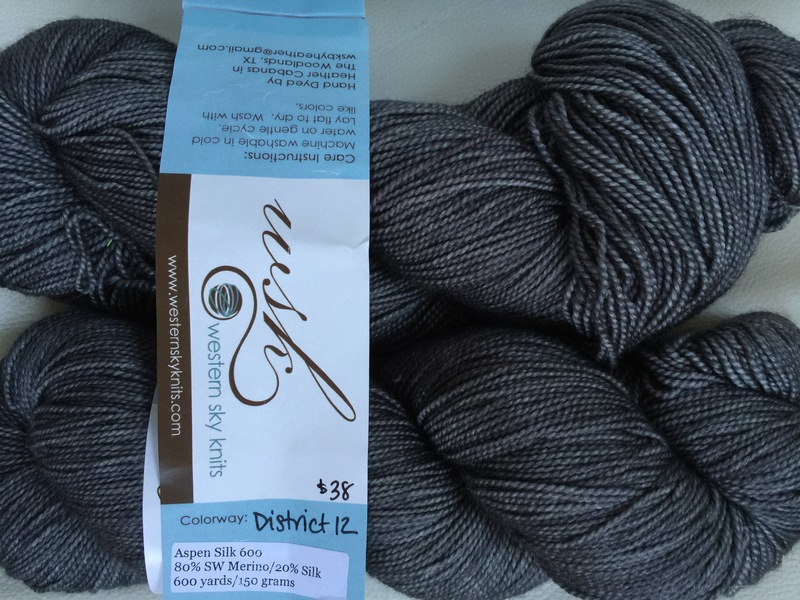 I added 2 skeins of a beautiful grey. No clue what the grey will be. We took 12-15 people on a three hour tour of the local yarn shops. At Bliss in Brentwood, found the cotton in grey and cream I need for a toddler’s dress. Fell in love with a textured gradient and found a solid teal to make a striped shawl. No pattern selected for either. 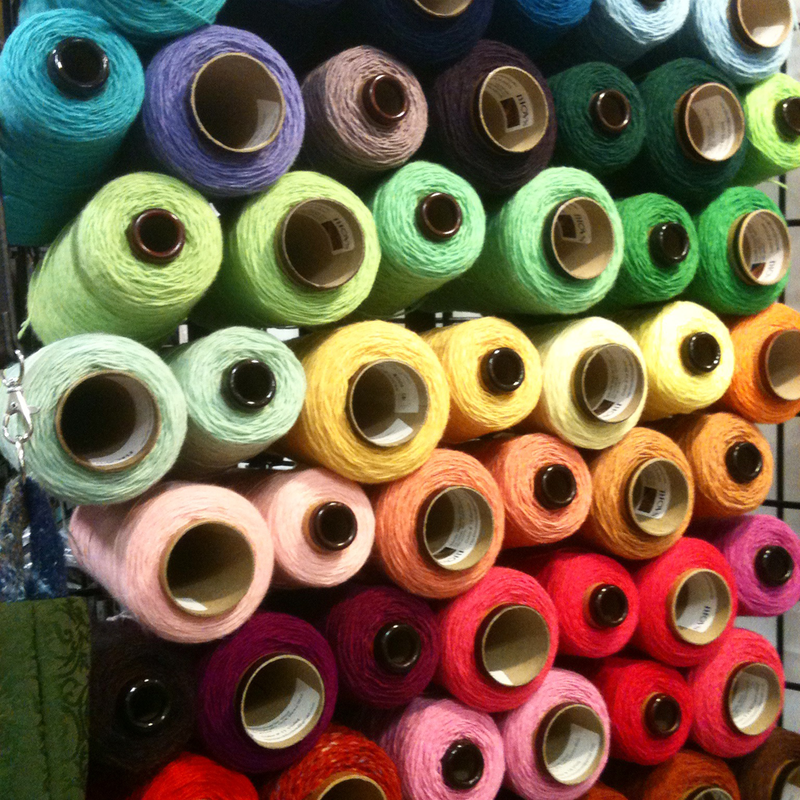 Last stop was Haus of Yarn. I was in decision fatigue. We left early. These were all BEFORE SSK started. Spinning decision was on Thursday. Friday was busy with two workshops, supported spindle demo and the Try-It-On room. 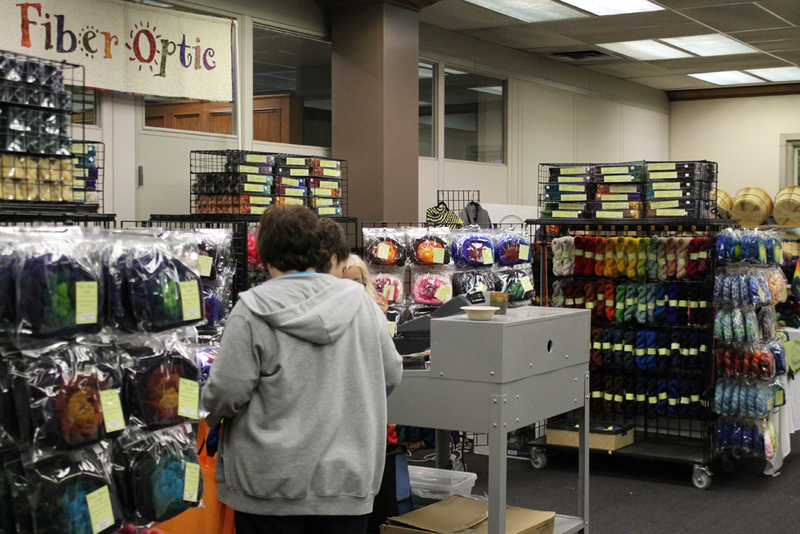 All kinds of handknit garments and accessories to try on and admire. No shopping, just planning & strategizing for Saturday market. I found a beautiful sweater in Wandering Wool grey in the Try-It-On room. Oooh….what fiber? I know I prefer blue face leister (BFL) more than merino. 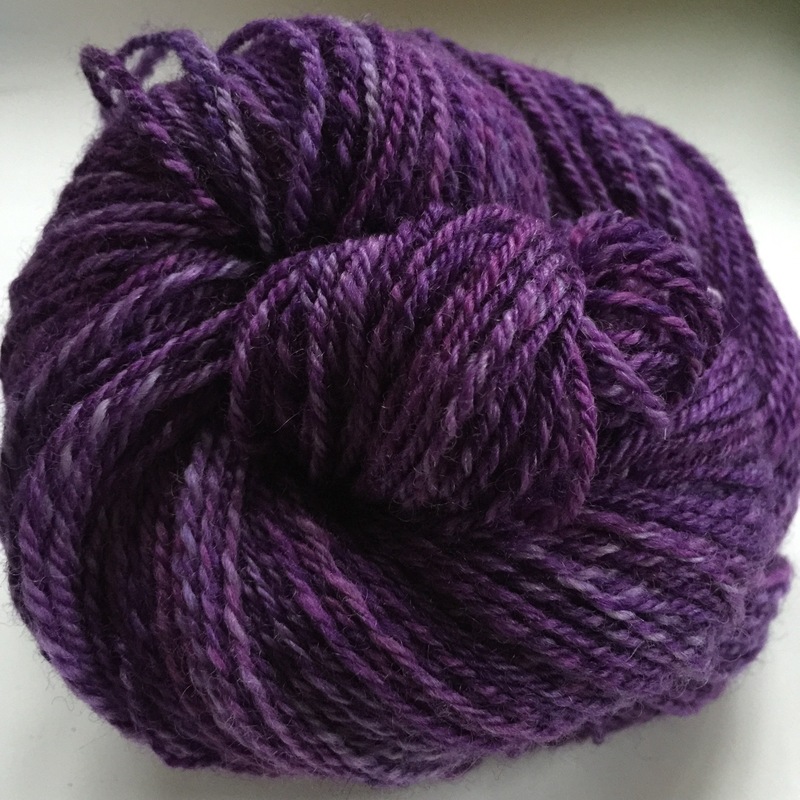 There’s a little bit of sheen in the finished yarn that I like. What else is there? I’ll see what’s in the market on Saturday. Turns out most had merino. 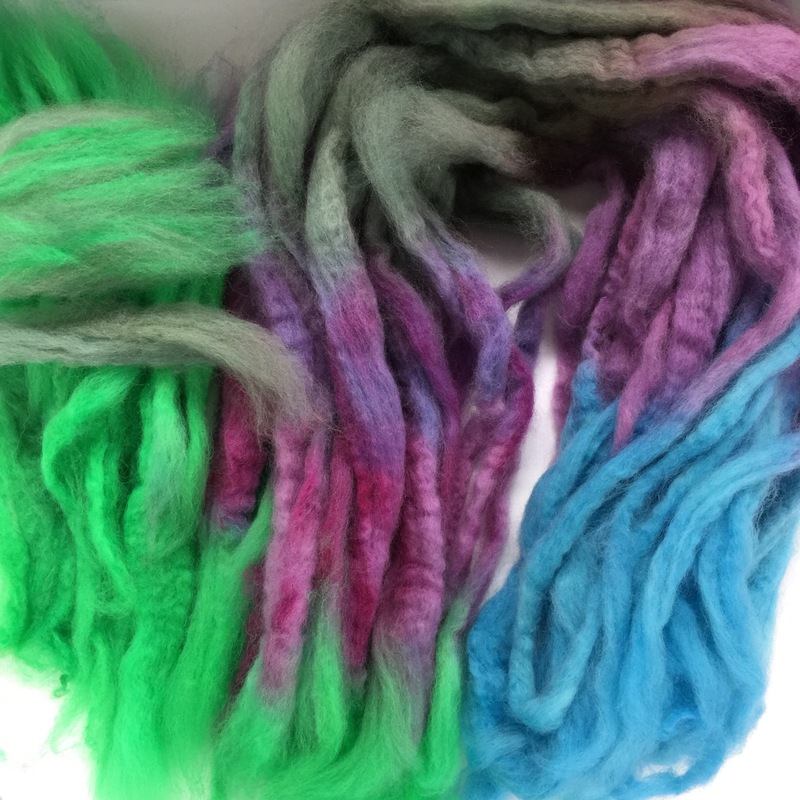 Some had hand dyed BFL. Only two vendors had other fibers. I bought natural Romney from Ross Farms. They specialize in rare breeds of sheep. Gale’s Art was a surprise. I bought Dyed BFL, undyed BFL, organic Polwarth and organic Polwarth with silk. I’m very excited to play with all of them. But my spinning friend suggested what order to spin. And as she came to the last Polwarth with silk. She said I will want to spin only this one from now on. It is SO soft. I had a lot of fluff in my shopping bag. Only one sock yarn and one sock blank. And one set of sweater quantity merino/silk blend in grey. I wanted Wandering Wool, but she was out. This one was at Western Sky Knits. One last purchase. After seeing what a few friends have been finding. I ordered linen at Haus of Yarn. It will be Meridian cardigan by Shellie Anderson. 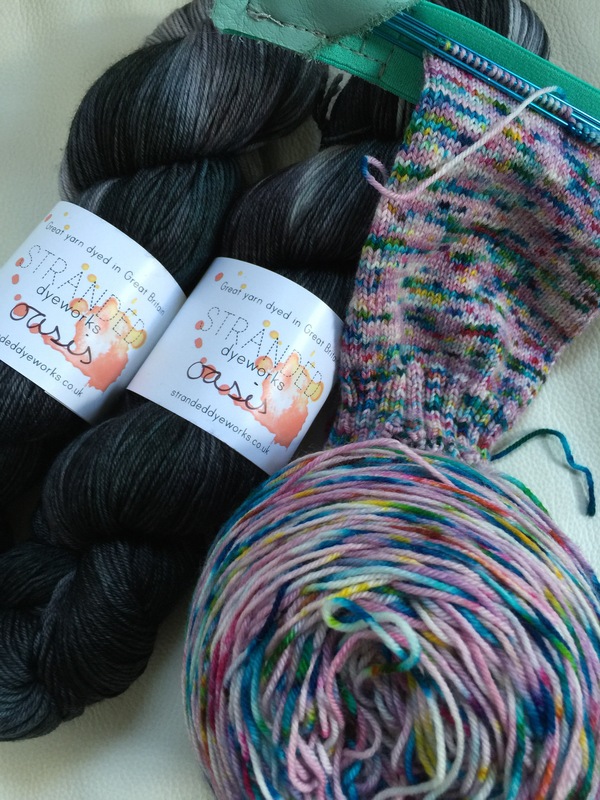 This entry was posted in Knitting, Road Trip, Spindle, Spinning - No Needles and tagged fiber, SSK retreat, stash, yarn on July 27, 2016 by slantedstitches. I’ll fill in the blank in a few days. Too many things happening still (Don’t worry, all good). This entry was posted in CLL, Etsy Shop: Slanted Stitches, Knitting, Road Trip, Sewing and tagged new friends, spindles, Spinning, SSK retreat, stash enhancement, yarn on July 25, 2016 by slantedstitches. Why do I always think progress should be on a smooth incline? Apparently my fatigue/energy level is still fluctuating. There were a few days that were spent taking lots of naps. But most days of ‘normal’ energy levels. I’m hoping for more and more normal days. Even so, I can check off some things done. 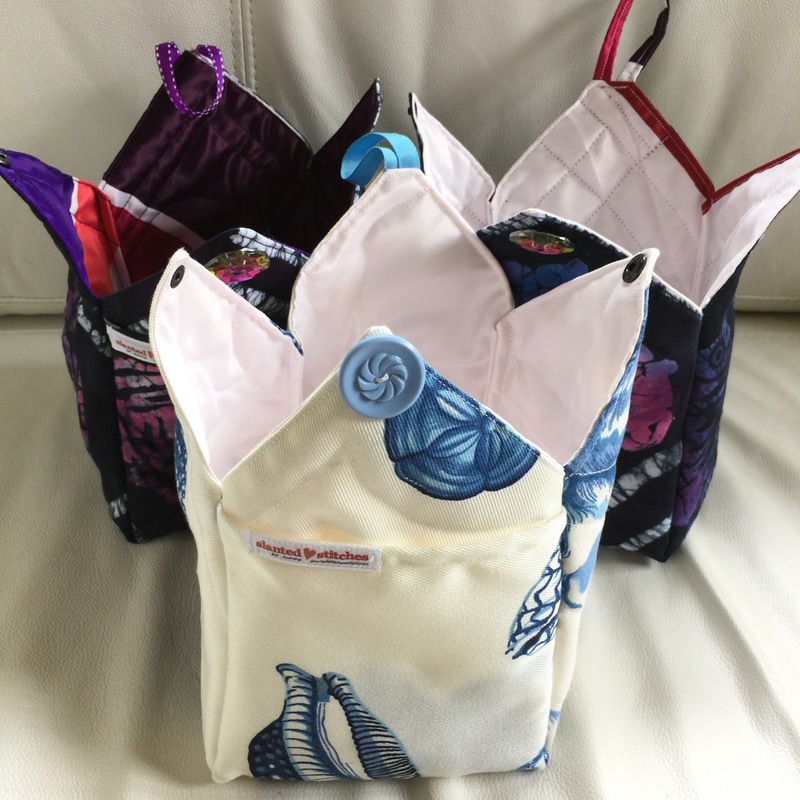 Modifications were made to the cubie bags and given to testers. Three more for spinners are finished. 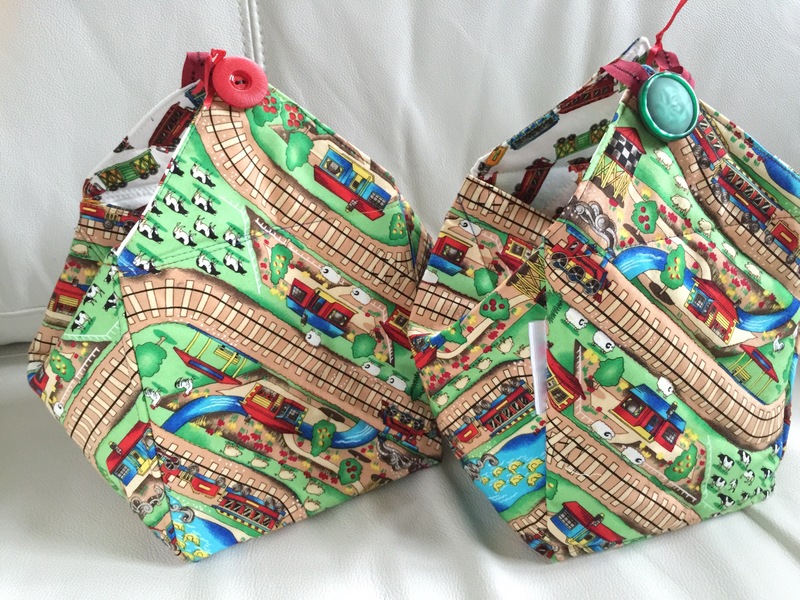 Two Japanese knot bags and two cubies were given to Laura for SSK door prizes. 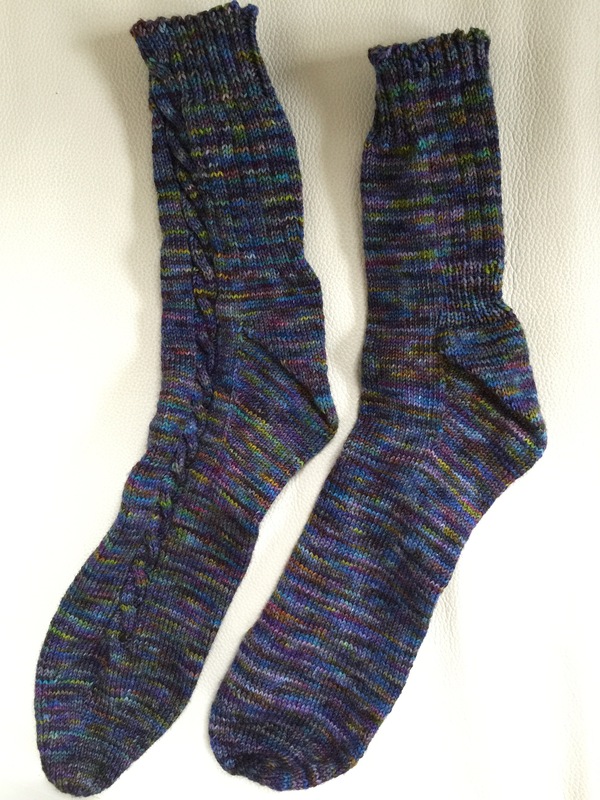 Two pairs of socks were finished. Tour de Fleece started this weekend. Which means more than normal fiber friends are showing off their spinning projects. Which means I have moved Instagram to the back of my apps. Unfollowing friends was becoming a ridiculous process, so hopefully, extra swipes will be too much work to go find Instagram. 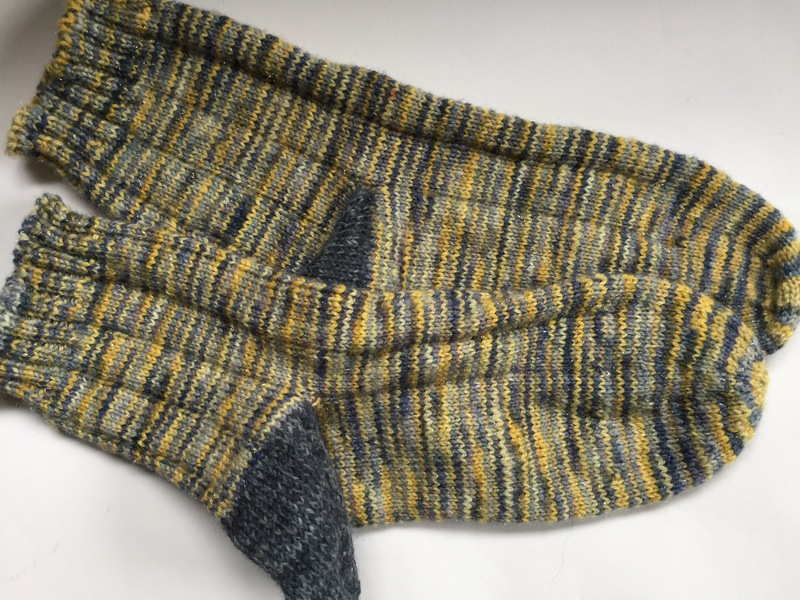 This entry was posted in Knitting, Sewing, Spinning - No Needles and tagged knitting socks, project bags, sewing, SSK retreat on July 4, 2016 by slantedstitches. 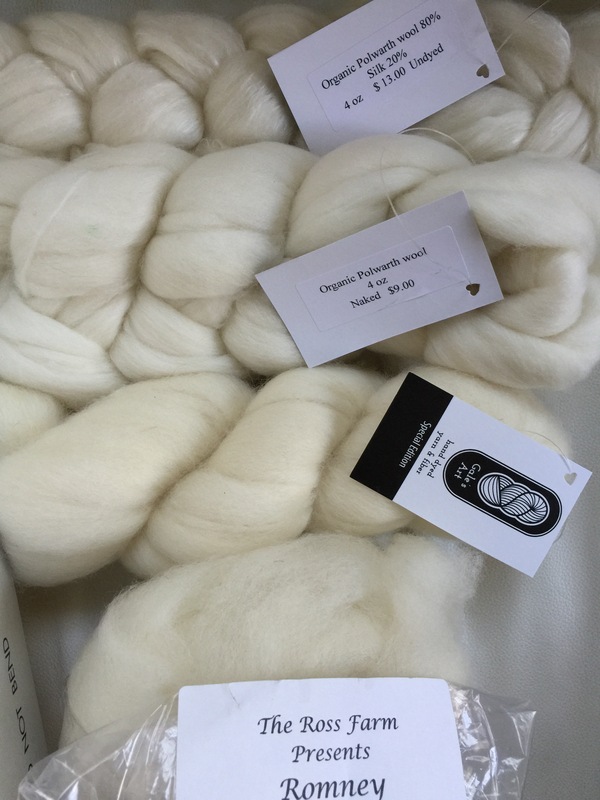 Have you heard about Rhinebeck, New York Sheep and Wool festival? Of course you have. 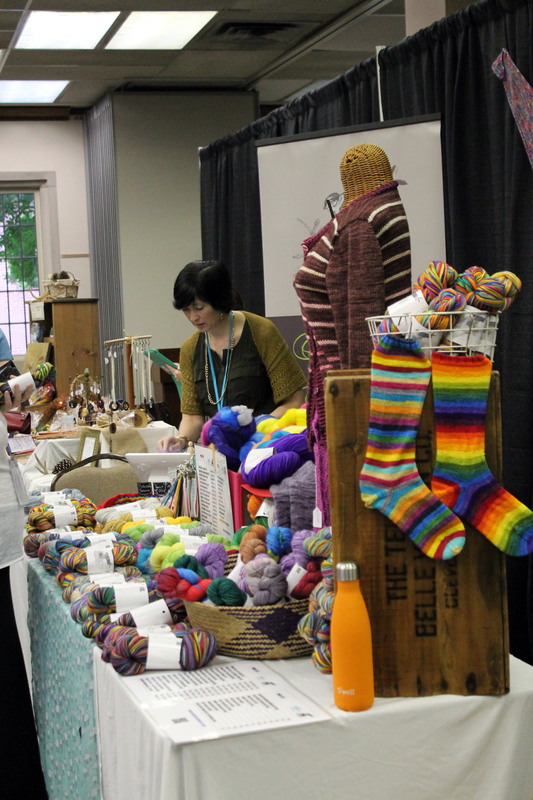 It’s an annual October event with hundreds of vendors, tens of thousands of visitors, miles of yarn and tons of fiber. From what I’ve read or heard, it must be the mecca of the America’s fiber folks. Some day I would love to go. But not for a few years. I’m not ready. You see, I’ve only been to a few small events. I’m still a rookie fiber festival goer. Oxford was my first festival. I did not know about indie dyers. I was safe because most of the vendors were bats and braids and fleece for spinners. I was only an aspiring spinner and bought a drop spindle. 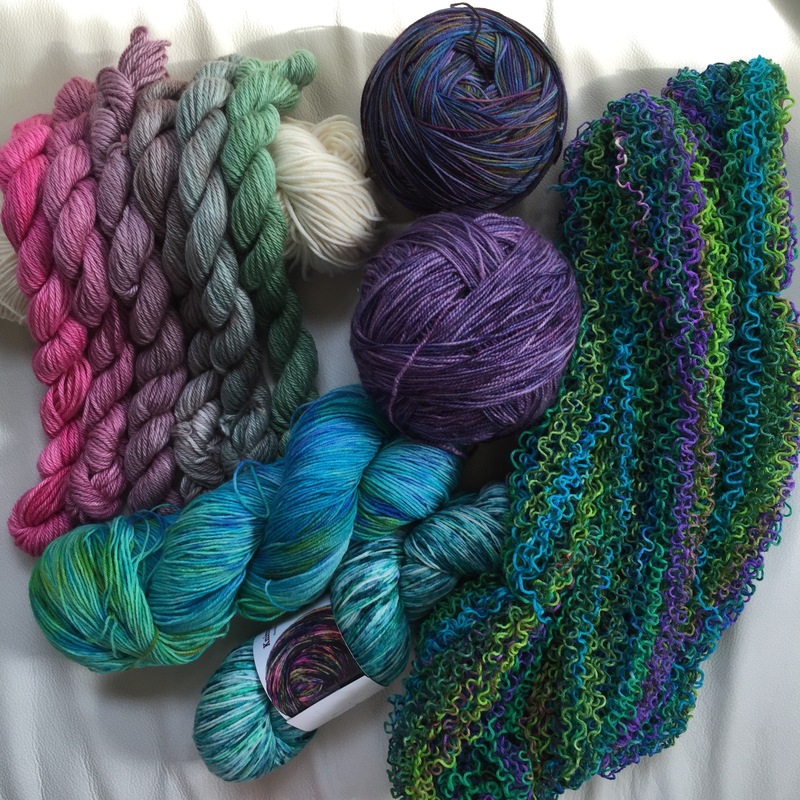 Last year I went on a fiber trip to the Northeast, I thought ONE souvenir yarn from each Portland LYSs and Seattle would let me stay within a budget limit. I blew that budget. (Ok, budget means the cash I have saved for fiber splurges. If I blew the budget, it means I pulled out the credit card.) Still happy, no regrets. I have knitted four projects, a linen shawl, a cashmere lace shawl, charity auction shawl and one pair of socks. But there are still four left. I am struggling with what to do with them. They seem too precious still. No worthy pattern has been found to match it. Or is it me who isn’t worthy of the yarns? Probably a mix of both are holding me back. Silly. It’s just yarn. I think I’ll go get the Mountain Colors, Portland Rose colorway to work on next. I thought SSK was just another small event. Yes, it is small but no, it’s not just another event. 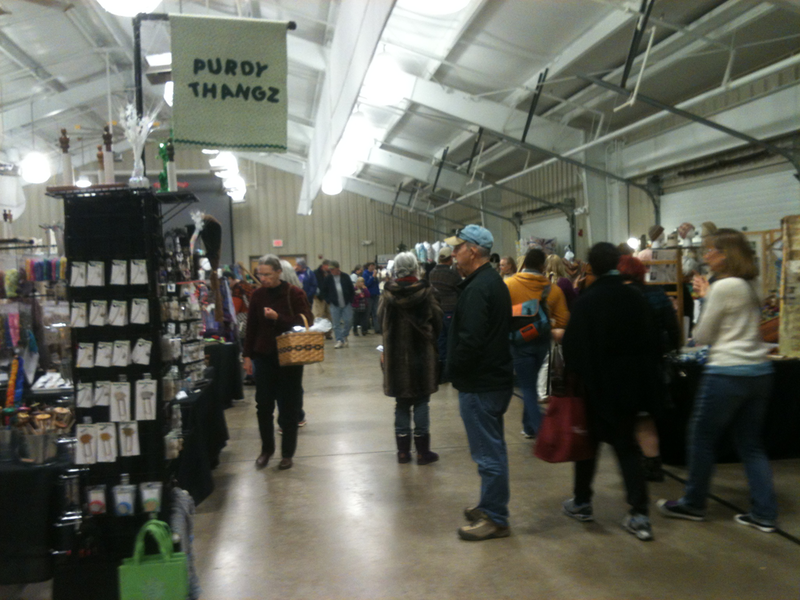 It was my first experience where I spent my budget at just the first three booths. I did better than the Northwestern trip. I had more cash saved. I did not pull out the credit card. Again, I love everything I got. I just hate that I couldn’t really visit the other booths. You see, if I looked, I would have pulled out the credit card. I HAVE set a goal of making something with all the yarns before the next SSK (whether I get in or not. I’m still on the wait list.) 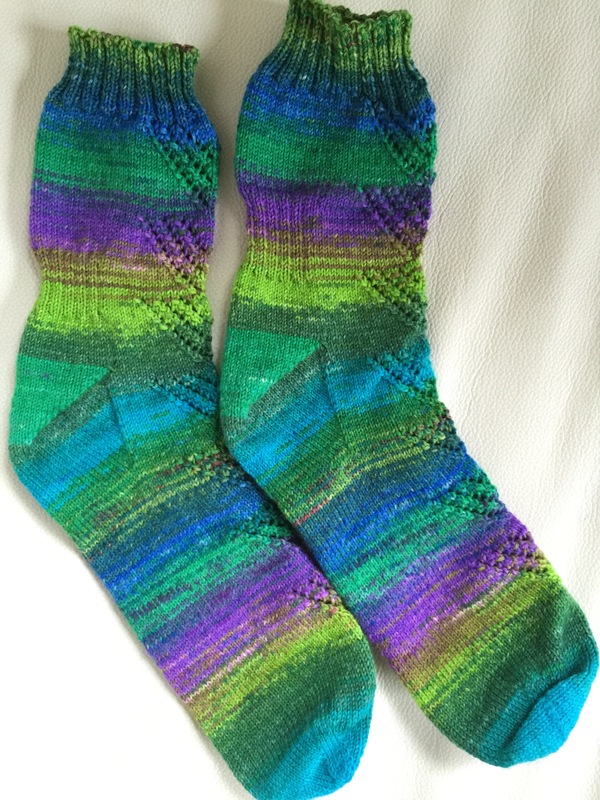 I LOVE my first pair of socks from Must Stash yarns. Looking forward to the second. But lots to knit before next July. My cute 92 year old mom went with me to the local festival a few weeks ago, Fiber In The Boro. While I was texting friends that we just arrived, I hear her whisper, ‘Don’t buy anything! Don’t buy anything!’. She’s so cute! I had no intentions of buying yarn. I just wanted to see. Really! Actually, I had a great time GETTING to the festival. There were a few patch of rolling hills with the last flashes of fall color. That alone was worth the drive. I was suffering from a bit of fall color envy with all the pictures from Rhinebeck the week before. I know, I know, I have lived in Boston and Minnesota. Nothing compares to the north and northeast. 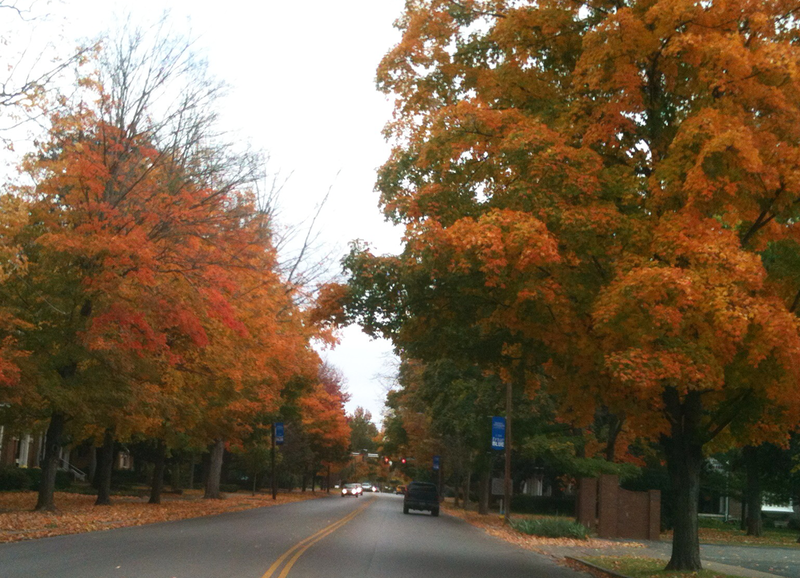 Your fall color can be really spectacular and breathtaking. But I am going to enjoy what I have. 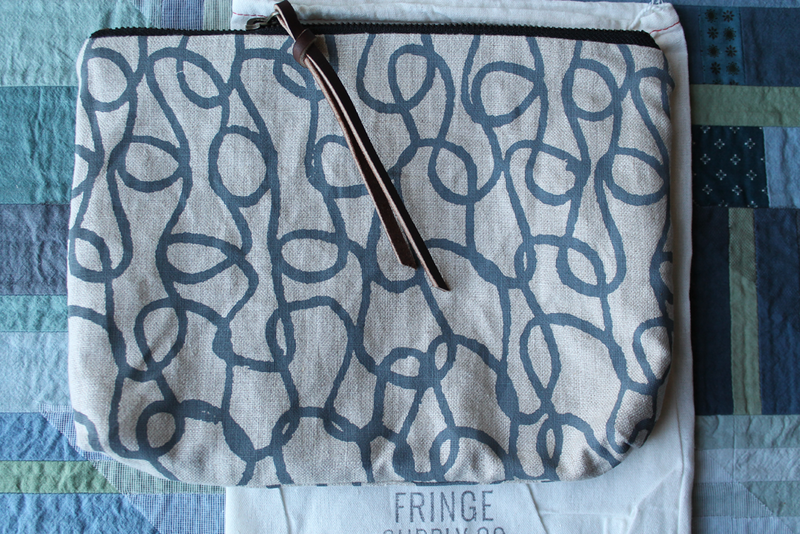 Bookhou Pouch from Fringe Supply Co. The only vendor I knew was Fringe Supply Company. I follow her on pinterest and her blog. And from her I started following Bookhou. Love her aesthetics. I bought one zippered bag. Technically, Bookhou is a competitor of mine. But, I don’t think I will ever get to her production level or marketing skills. She’s good. 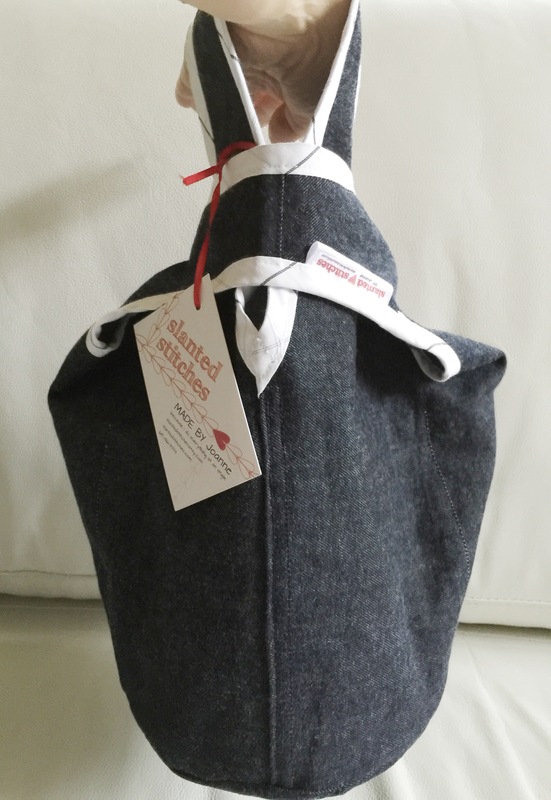 One souvenir was all that was planned, which I thought was the Bookhou pouch. Saw some wonderful shibori dyed silk scarves. Not tempted, just admired. I didn’t see any yarn that was better than what I already have. And I’ve decided SSK is where I will buy yarn (cross my fingers that I will get in next year). Fortunately, no fabrics at the festival. And then the vendor mentioned his turned wood pieces. He had seam rippers with turned handles. THIS I could justify. Ergonomic for doing a dreaded task. Brightly colored, so I won’t lose it. 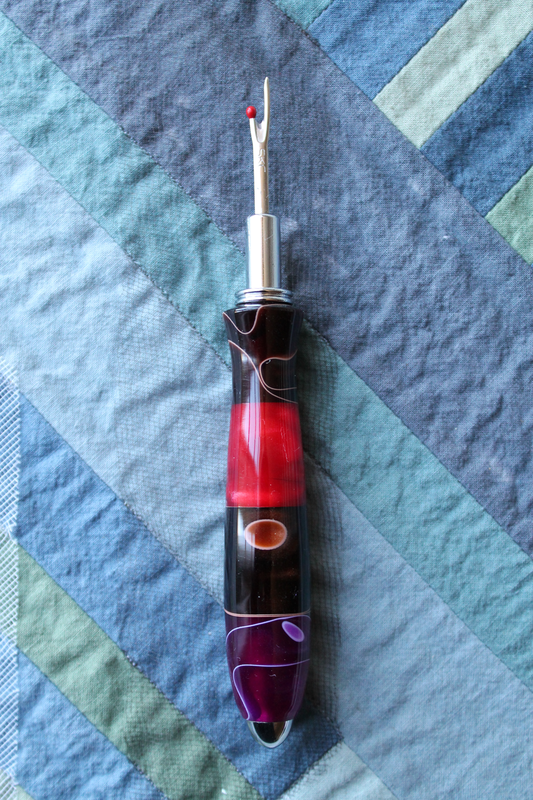 A unique item, especially at a festival for knitters and spinners. Maybe I should add quilt festivals to my activities. Will have to research what’s in my area or where we’ll be traveling. Any chance they’ll have somethings for sewing on a road trip? OK, maybe not a good idea. Stitches South will be in Nashville next spring. Maybe making a 2015 knitting goal list will help me focus. Yep. I’ll do that soon, while on the next road trip. 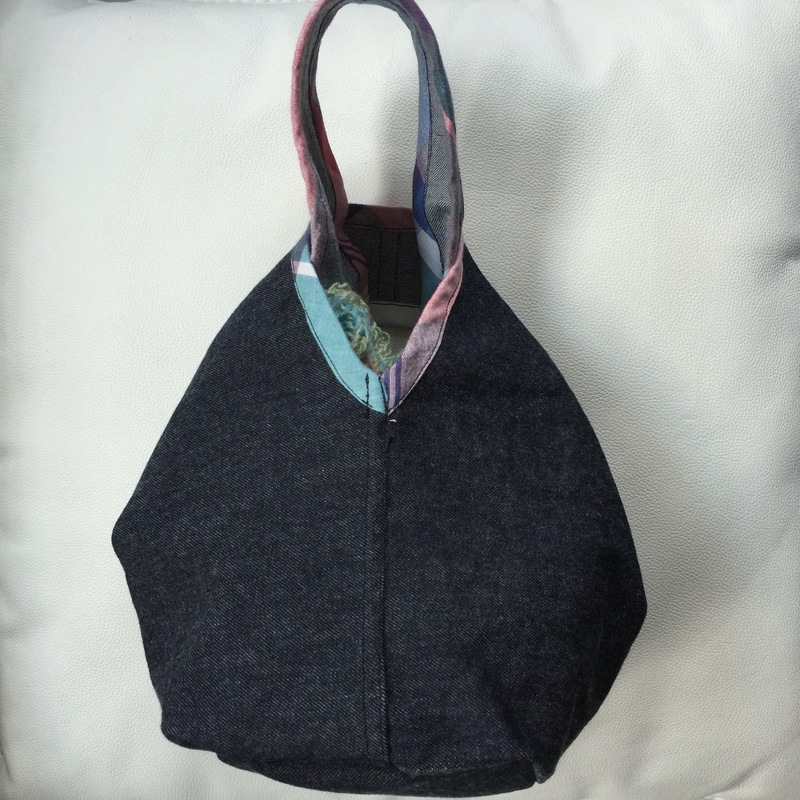 This entry was posted in Knitting, Road Trip, Zigzagging and tagged FiberFestivals, FiberIntheBoro, Murfreesboro, roadtrip, Saori, SSK retreat on November 24, 2014 by slantedstitches. 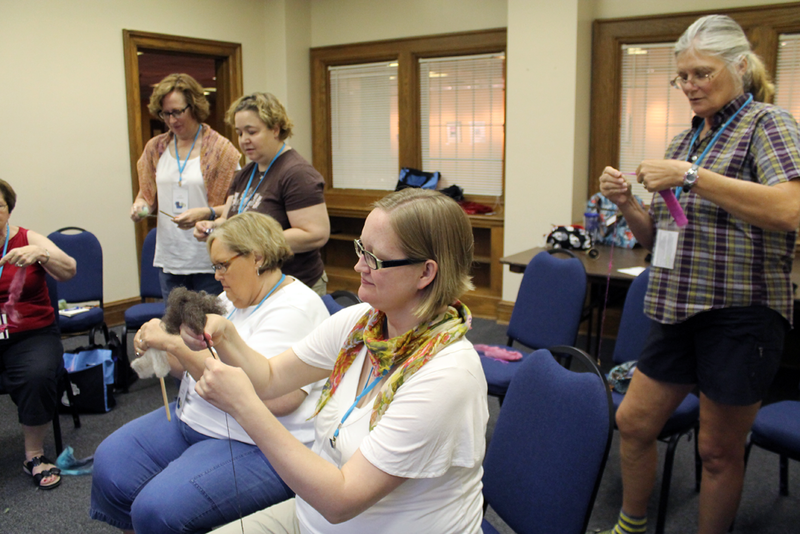 I am very late in posting about my experience at SSK, SuperSummerKnitTogether in Nashville, TN. I’ve been in a retreat withdrawal, a post-retreat depression. It could be the weather returned to its hot humid oppressive norm. It could be just exhaustion. Doesn’t matter. I’m back working in the studio now. Plenty of bloggers and podcasters (Must Stash, Fat Squirrel Speaks, Knit Theory, Yarn Raising, Yarns at Yin Hoo, to name just a few) have been sharing their experiences. I don’t think I can add much more than what’s already been said. Basically, along with everyone else, I had a wonderful time. I thought I’d share what I’d do differently for next time….advice for the next retreat. Get ahead of all your work. Assume you will need time to recover, a few days to a week. Assume you will have post-retreat withdrawals. Meeting all those wonder people and coming home to an empty studio will be tough. Maybe schedule time with local friends to easy into the transition. Bring business cards with your Ravelry name. And bring old address labels or print stickers with your name and Ravelry name for the door prize drawings. 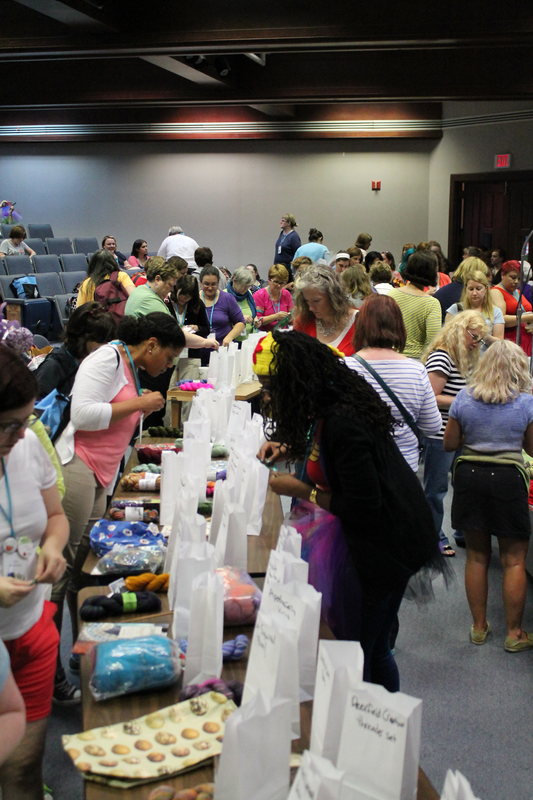 Participate in all the knit-a-longs (KALs) and contests posted in the SuperSummerKnittogether Ravelry forum before the retreat. Use this as a motivator to knit all fiber and yarn you acquired at the last retreat. Bring more money than last year. 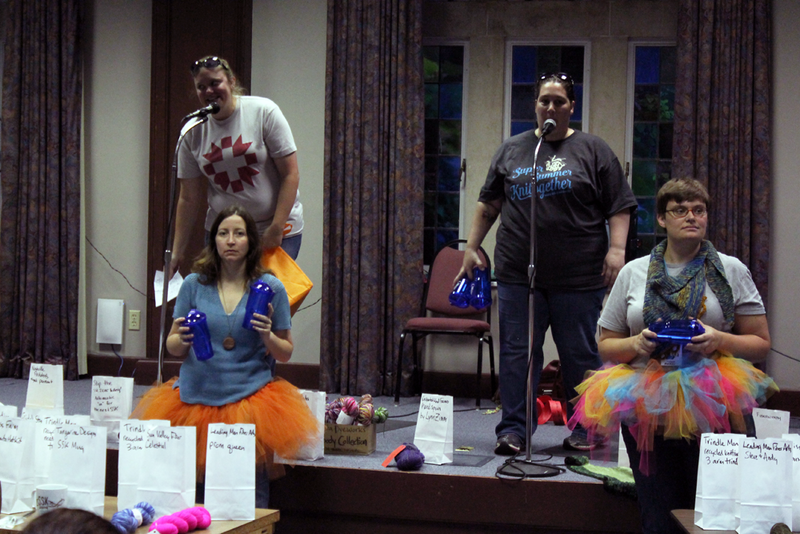 I don’t know about other retreats, the SSK marketplace had SO many wonderful vendors. You ran out of money after only visiting three of them. You thought you could keep to a tight budget and doubled it for “just in case.” It wasn’t enough. Double it again. Just assume you will be going on a yarn diet for the rest of the year. Keep the SSK retreat dates clear. Because SSK entry is on the lottery system. You might not get in on the first round. Plenty of people drop out over the seven months between application and event. 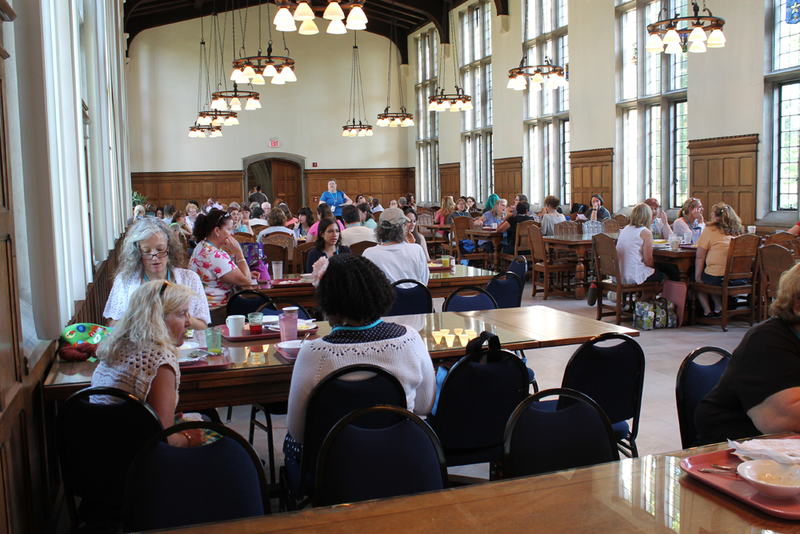 In fact, one gal managed to get in at the last-minute, 1 day before the retreat started. Bring your favorite finished knitting. Be prepare with designer name and yarn source. Why didn’t you bring any of your finished knitted garments? Are you crazy? People want to see what you’ve made. 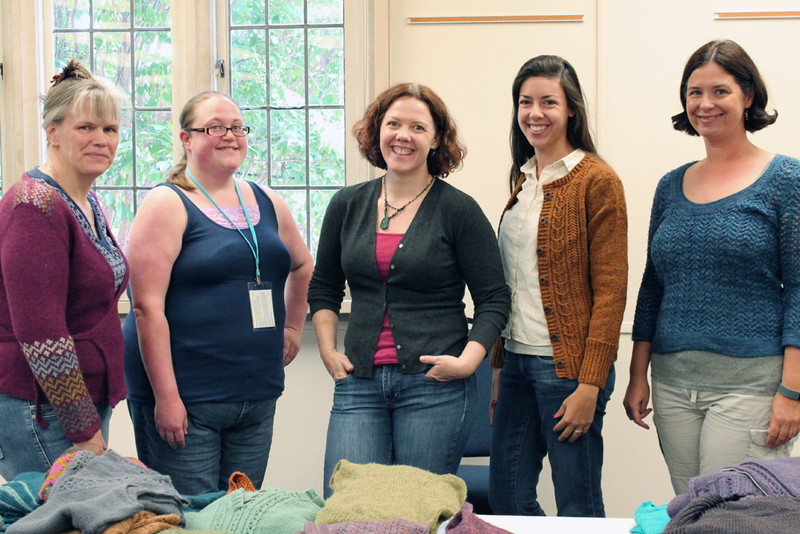 Take a class in something new, like the spindle class. You’ll be surprised. And you’ll meet a different set of new friends. Relax, enjoy all the fun. Take breaks to get away for some quiet. Quit worrying about remembering everyone’s name. You’ll mess up anyway. Say ‘YES!’ to every crazy activity. Don’t miss out on all the crazy fun stuff. Like trying on every one of Amy Herzog’s sweaters. Don’t forget the camera for the opening ceremonies! Take lots of pictures. Take selfies with your new friends. Silly girl. Wear something crazy on your head. The improvised purple tulle fascinator worked well, so your friends could easily find you. Take a few selfies. Here are a few more pictures…. The first third of the line waiting for the marketplace to open. This entry was posted in Knitting and tagged knitting, SSK retreat on August 13, 2014 by slantedstitches.